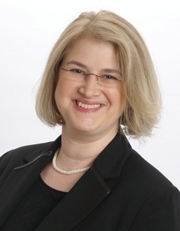 BettyAnne Gottlieb teaches courses mainly focused on string pedagogy and technology integration for music educators. Her research interests include democratic learning environments, healthy musicianship, music teacher preparation, and the nature and meaning of music for beginning instrumentalists. Dr. Gottlieb has presented her research at regional, national and international conferences such as the American String Teachers Association National Conference, Biennial Colloquium for Teachers of Instrumental Music Methods, Symposium for Music Teacher Education and Narrative Inquiries in Music Education, as well as a number of state music education conferences. Dr. Gottlieb’s experience in teaching music covers a wide array of age groups and focuses including strings, band, general music, Suzuki violin and viola, and conducting youth string ensembles. She has taught in the public schools and university-affiliated music programs in Ohio, Pennsylvania, Michigan and Arkansas, and serves regularly as a guest clinician and adjudicator for regional, district and state string festivals. Dr. Gottlieb is Suzuki trained, performs regularly in regional orchestras and spends portions of her summers teaching at Blue Lake Suzuki Camp, Interlochen, and for the CCM Preparatory Department. Prior to her appointment at CCM, Gottlieb taught in the Music Education Department at the University of Arkansas. Dr. Gottlieb’s current research and pedagogical activities include forming and directing the Cincinnati New Horizons Orchestra – a program that provides beginning and intermediate string instruction to adults in a group setting. In September, 2014, Dr. Gottlieb and 10 members of the ensemble were invited presenters at the 3rd Annual Music and Medicine Conference sponsored by the Cincinnati Music And Wellness Coalition. BS, Case Western Reserve University, Cleveland, OH. MMEd, VanderCook College of Music, Chicago, IL. PhD, Michigan State University, East Lansing, MI.